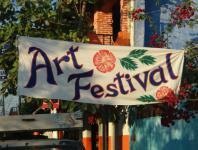 We are very lucky to have several very talented artists living here in Melaque, Mexico. A couple of weeks ago they hosted an art walk and invited the community to come and enjoy their newest creations. There were paintings, photographs, jewelry and more! We had local and expat both participating. People enjoyed a stroll between venues, the afternoon was warm and sunny, snacks and beverages were provided at each venue. It was a very enjoyable event and we hope it will be an annual happening! See the below video for more details and images of work that was shown. Having trouble viewing the video? View the video on YouTube and see how creative the artists really are.